Most of the CCTV, IP Camera, DVR and NVR out there can only be accessed using Windows Internet Explorer. You need to install plugin downloaded from the devices first, then you can accessed the live view, playback and configure the devices. It will be a problem if you don't use Internet Explorer or Windows in your environment. Hikvision is one of the CCTV Video Surveillance supplier includes IP Camera, DVR and NVR that used by many middle-sized companies or individuals. Just like many other vendors, it also needs Internet Explorer to accessed the devices. Luckily, it is also use RTSP protocol for live viewing the camera. With VLC, you can now able to stream the Hikvision live view using RTSP link. if you have IP Camera, DVR, NVR or any other video capture device that support RTSP, you have the opportunity to stream it using VLC if you know the video path. Every CCTV Camera Surveillance vendor have their own method or path to the stream URL. You need to find out it first or just try your luck. Whatsapp Video Call feature finally enabled for Android users. But to be able to use this feature, you have to become Whatsapp Beta Tester first, and update your Whatsapp Beta version to at least 2.16.316. 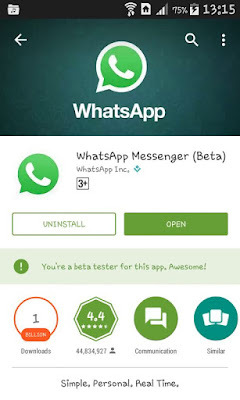 Please refer to this post if you ready to become Whatsapp Beta Tester: How to Become a WhatsApp Beta Tester. WhatsApp Video Call for Android first appeared on May for Beta users but it suddenly disabled without reasons and put back into development. Now it is enabled by default again for beta users, it was first announced enabled by default on Windows Phone. As far as I know, Whatsapp Video Call feature is also have been enable on iOS (Whatsapp Beta) and Windows Phone Beta version. Take a look to this tweet from @WABetaInfo about Whatsapp Video Call feature on iOS. For now, you can only use the Video Call feature with other users who use the beta version too. Hopefully it will be ready for official release anytime soon. Take a look at the following video about How to use WhatsApp video call feature. On that video above, users only able to make a video call to someone that also use the WhatsApp Beta Version and return "Couldn't place call" for users that use the official release version. 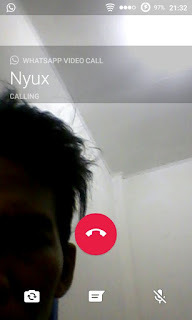 Want to try WhatsApp video call feature? Read this post on How to become WhatsApp beta Tester. WhatsApp Messenger is growing into the number one messenger App on the earth, with many features available to satisfy their users. To be able to always be the number one, WhatsApp needs to always up to date to what the customer wants by adding more features, stability and bug fixes on every updates. To make sure every updates and features are acceptable by their users, WhatsApp needs to have users to confirm it before make it available to all users by updating the official release or the stable version release. That's the job for WhatsApp beta tester users. WhatsApp beta Tester users will get the features first before it release to the stable version. They also can report the feature if it have some bugs. The great thing is, you can use it before the others, before your friends even know it there. To become a WhatsApp Beta Tester, you just need to simply open up Google Play Store and scroll down until you find a section says "Become a beta tester". Tap on "I'm in" button and confirm to join beta tester program by tap on "Join". After doing that, all you need to do is waiting until the beta sign up progress completed. Then you need to update your WhatsApp be able to use WhatsApp Beta. Take a look at this short video below or view it on Youtube by this link https://youtu.be/4XOnMmsOV7I. Pro Evolution Soccer 6 (PES 6) is my favorite Football game because it is do not need much system resource and can play very well on my mini netbook. It is enough for me, as long as I can play it smoothly on my old computer. But it will be better if I can update the players to the latest transfers. Like the transfer of Di Maria to PSG, Anthony Martial to Manchester United, and many more player transfers. Pro Evolution Soccer 6 (PES 6) is based on players from season 2006/07. Of course, it will be very difficult if you want to manually transfer the player from one club to another and not to mention the new young players that rises every season, so How to Update Player Transfers on Pro Evolution Soccer 6 (PES 6)? There is something called Pro Evolution Soccer Option File. With this, you only need to over write the old option file to a new option file and you will have the players from the latest transfers. Not just the players, you will also have the latest jersey of the club and the country. It is all depend on the option file that you use. My favorite place to download PES 6 Option File is at PES6 Option File on PESGaming Forums and also check this post for the latest Option File PES 6 Season 2015/2016 that I use. It is a forum, so always read the comment from members to see how good is the option file you want to download. If you have decide what Option file you want, you only need to download it and replace the original option file. PES6 Option File name is "KONAMI-WIN32PES6OPT" and located at "C:\Documents and Settings\USER\My Documents\KONAMI\Pro Evolution Soccer 6\save\folder1" (USER is your Windows Account User). Delete or remove all the file on that folder, and copy and paste the newly downloaded option file to the folder. Make sure the file name is exactly "KONAMI-WIN32PES6OPT". Warning, remove the option file will also mean to delete all your saved league or replay. That is all I know about How to Update Player Transfers on Pro Evolution Soccer 6 (PES 6), and please use the comment form below if you want to share your option file. Thank you. How to Install Windows 7 From USB Flash Drive? 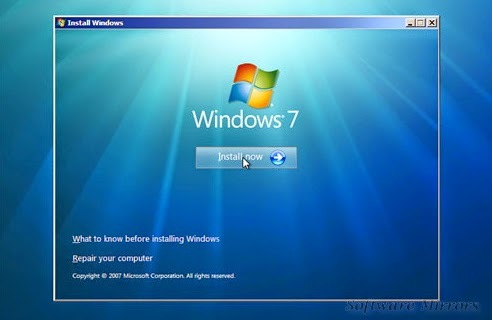 There are many ways to install Windows 7 from USB Flash Drive. If you have a tablet, small laptop or netbook device or even PC that have no optical drives, you will really need to find a way to install operating system on it. It is not only useful for new computers, but also very useful if you are having problems with your operating system, and have to re-install it. This article based on my personal experience, and for me this is the easiest way to install Windows 7 from USB Flash drive. Not only Windows 7, it is also can be use for Windows Vista or even Windows 8 but it is more tricky with Windows XP. Let start! 1. Plug in and format your USB Flash Drive and use Fat32 or Fat as file system. 2. 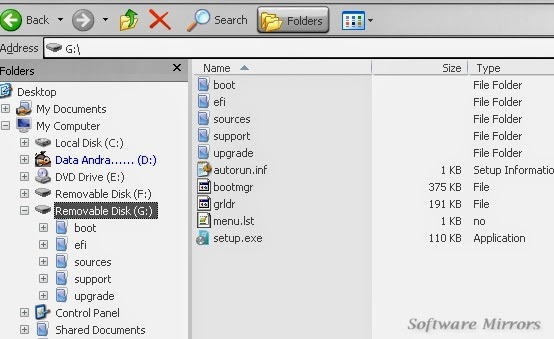 Extract GRUB4DOS and Grub4Dos GUI Installer, you can either put it together at the same folder or separated folder. 3. Start grubinst_gui.exe (extracted from Grub4Dos GUI Installer, run it as Administrator) and follow this image below to install GRUB4DOS booting code to your Flash Drive MBR (Master Boot Record). First, you need to make sure you are choosing your flash drive from the drop down list (1), choosing the wrong drive will make you unable to boot from system without doing a proper boot repair. Click on refresh on Part List (2) and select "Whole disk (MBR)" (3) from the drop down list. 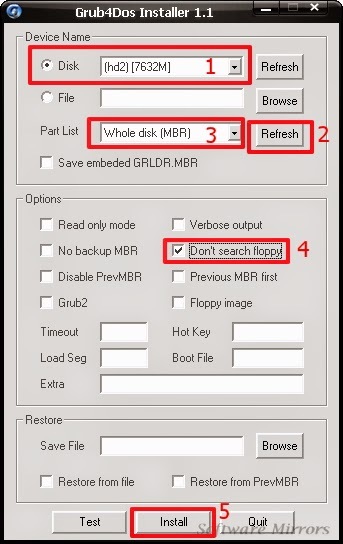 Optionally, check the "Don't search floppy" option (4) and leave all other options. Finally, click the Install button (5). You will get the message that the installation was successful. 4. Copy grldr (not grldr.mbr) and menu.lst (extracted from GRUB4DOS) to the root of your Flash Drive, and now you have the bootable USB Flash Drive. To make sure, you can try to boot your computer from USB Flash Drive and you will see GRUB4DOS with default options. All you have to do is copying all the content from your Windows 7 DVD or ISO image to your previous bootable USB Flash Drive and edit the menu.lst file. Now, you are done and you can start to Install Windows 7 From USB Flash Drive by selecting Windows 7 Setup from GRUB4DOS menu. Note: Do not unplug your USB Flash Drive before Windows 7 is installed properly on your computer. I recommend you to manually your computer from the Start Menu after you can see the desktop. After that, you are safe to unplug the USB Flash Drive. Sometimes when you are installing or upgrading to the latest BlueStack App Player you will facing problems. One of the problem is BlueStacks Error: Your Graphics Drivers seem to be out-of-date. There are many things that could cause this error. Your graphics driver is possibly need to be updated, so you need go to your graphics card manufacturer official website to download and install the latest driver or there also some people that had this error because they install the BlueStacks App Player while running on battery on their laptops. So they only need to plug the live power and install it again without any problems. Create a new DWORD value by right click on the right panel and choose "DWORD Value"
Rename DWORD Value name to "SkipGraphicsDriverCheck" and change the value "1" by double click it. Another way if you are not familiar with Windows registry, you can download the reg file from this link BlueStacks Skip Graphics Driver Check. Download the reg file and double click to allow it to write on your registry. That is all I know about BlueStacks Error: Your Graphics Drivers seem to be out-of-date. Still facing the same problem? Please leave your comment below. 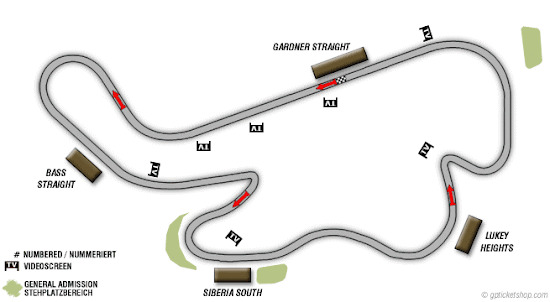 New #MotoGP race distance confirmed - the race distance will be 19 laps. Every #MotoGP rider will be required to enter the pits and change to his second machine with fresh tyres at least once during the race. In normal circumstances this means that the rider must change machine only at the end of lap 9 or lap 10. No rider is permitted to make more than 10 laps on any one slick or wet rear tyre. This means that a bike/tyre change before lap 9 will require a second bike/tyre change to finish the race. This procedure is valid for a dry race or a race that starts in wet conditions. If the race is started in dry and it then rains the race will be stopped with a red flag. A restarted race will be for the no. of laps required to complete 19 laps but with a maximum of 10 laps and a minimum of 5 laps. This new rule will only valid in MotoGP Phillip Island. How to scroll page to an element using jQuery? One thing you must do to give a best service to your visitors is to make them easier to access the important element on a page. For example on Software-Mirrors.com, the most important element is the Download link, which is at the bottom of the page. This is where scroll page to an element really needed. Scroll page to an element or jump to an element use to directly jump to an element that is important to the page and skip non-important element. The easiest way to do that by using html hyperlink tag that point to the element for example: <a href=#toHere . This code will bring you to an element which have ID="toHere". 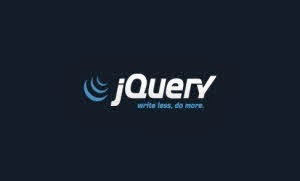 So how to do this with jQuery? With this jQuery code, the page will scroll to an element with CLASS="here" when an element with CLASS="but" clicked. It will scroll for 1500ms or 1,5 second. Not just CLASS, scrolling page to an element using jQuery can work for every jQuery selectors, like ID (#) or tag. You can use this link to practice http://jsfiddle.net/PaKfL/. How to Configure WiFi IP Address for Android? Sometimes, when you are in WiFi Hotspot area or making Ad-hoc connection between two computers, you need to manually configure the IP address for your Android device to be able to connect to the hotspot or another computers. 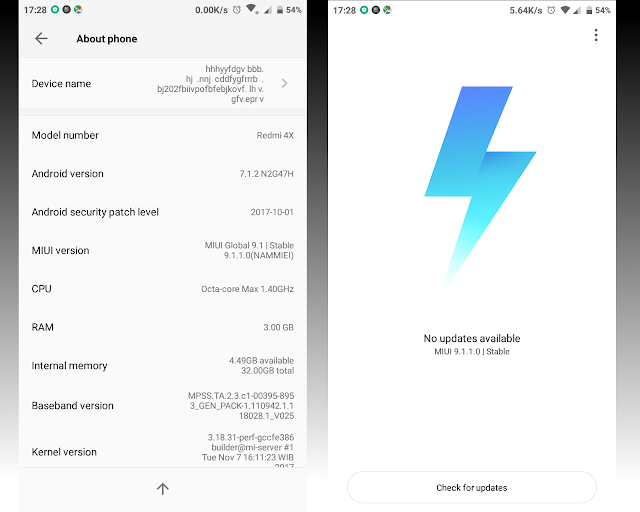 It is usually happen when your Android device failed to obtain the IP address from the server, or the network is configured not to use a DHCP server. So in this situation, your Android device will not receives configuration from the server and have to manually configure the IP address. To manually configure WiFi IP address for Android, first you need turning on your wireless on Android and connect to wireless a network. In "Advanced" option, tick "Use static IP" and manually configure the IP address, Gateway, Netmask, DNS1 and DNS2 according to your network. 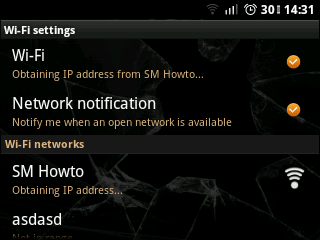 That is all, if you have any question on How to Configure WiFi IP Address for Android? you can use the comment form below to ask. 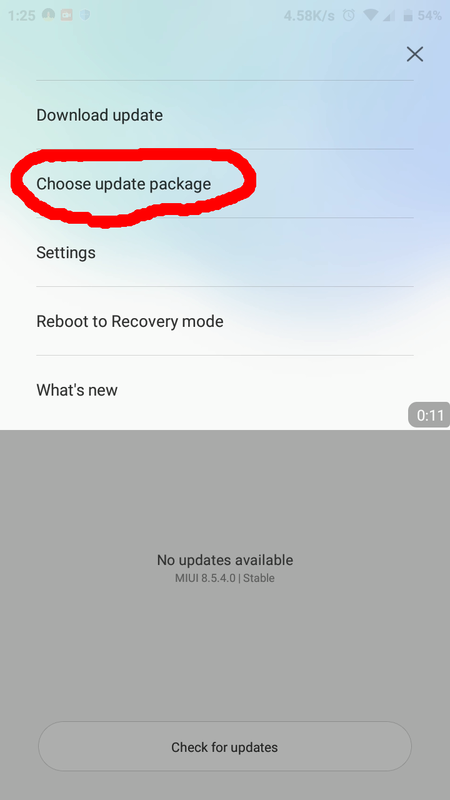 How to download APK file from Google Play? 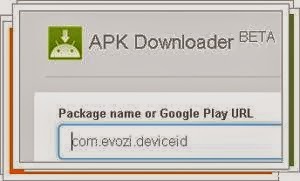 APK file is an Android Package Installer that use to install applications on your Android devices. Every applications and games in Google Play have APK file stored on Google server. With this APK file, you can install the applications and games directly to your Android device without needed of internet connection. But, the APK file is not available to download directly from Google Play. To download APK file from Google Play, you need to use third party downloader like Extensions for Google Chrome or website to generate the download link for the APK file. Your direct Download Link for APK file from Google Play is ready! That is the simplest way if you are looking for How to download APK file from Google Play? Don't forget to confirm if you are success your APK file. Thank you. How to view saved password in Google Chrome? 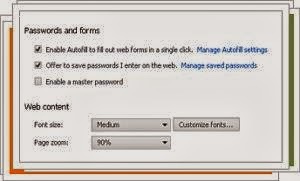 Google Chrome web browser provide you with the ability to save your password. By default, Google Chrome will offer you to save your password when you sign in on a website like Facebook, Google, Twitter, etc. With this feature, next time when you want to log in to that websites, you don't need to enter your username and password anymore because it is automatically fill with your username and password, and you just need to click the log in button. All the password that you save are stored by Google Chrome and will be use when you visits the same website again. This feature will be very helpful because you don't need remember your password any more, but in the same time it is also very vulnerable because it is stored in your browser and can be accessed by anyone. Go to the hotdog icon (formerly wrench icon) on the top right of your Google Chrome browser and Choose "Settings"
At the very bottom of the page, Click on "Show advanced settings..."
Scroll down and find for "Password and Forms" and click on "Manage saved passwords"
You will see three columns (Websites URL, Usernames, passwords). Click on the password you want to view, and you will see "Show" button. Just click it, and you will see your password. Now, you know how easy it is to view saved password in Google Chrome. So be careful if you want to lend your computer to your anyone.